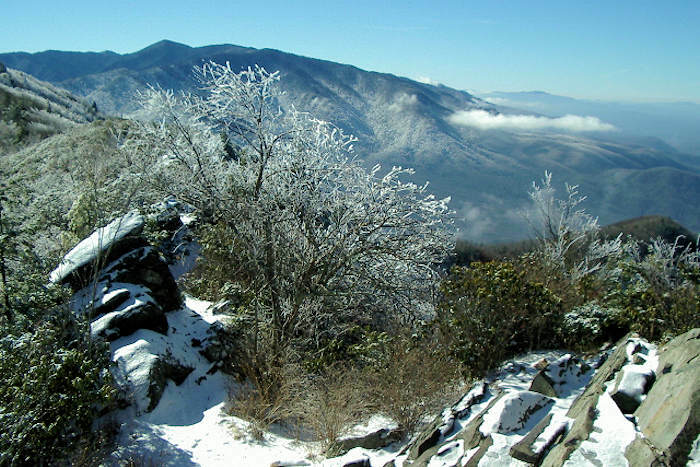 The hike to the summit of Mount Cammerer in the Great Smoky Mountains National Park is accessible via a trail from the Big Creek area, just off Interstate 40 near the North Carolina/Tenneessee line (about 50 miles from Asheville). The Big Creek area is in the northern end of the park. There is a ranger station, campground, picnic area and rest rooms here. A self service backcountry permit station is at the entrance to the first parking lot next to the ranger station. 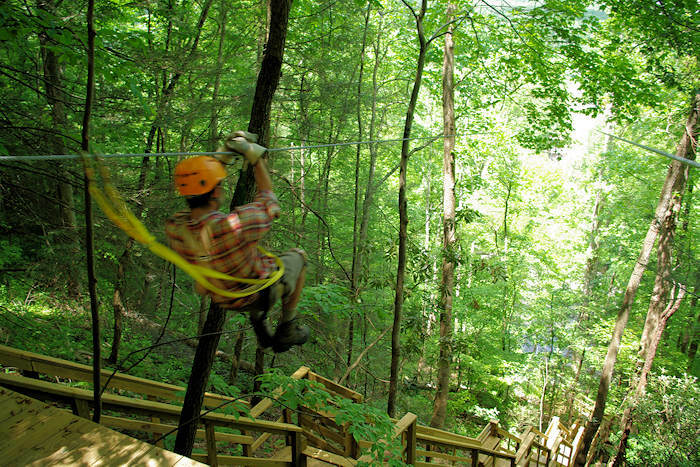 To get here, take Interstate 40 to the North Carolina - Tennessee border. Take exit 451 and drive past the Waterville hydro-electric plant. Follow the brown park service signs past the intersection at Mt. Sterling Gap and into the park. The distance from the exit on the interstate to the entrance of the Big Creek area is less than three miles. 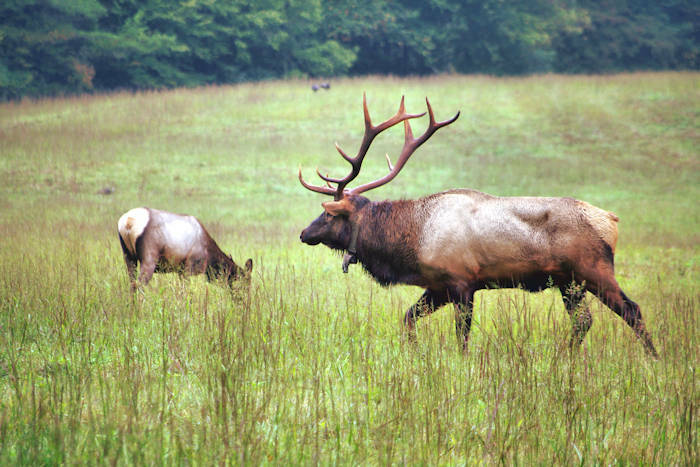 The hike up from Big Creek is a 5.9-mile constant climb with a gain of about 3,000 feet in elevation. The Chestnut Branch Trail takes you two miles up to Appalachian Trail. This hike has some beautiful creek scenes and is a short trip to the Appalachian Trail. The last three tenths of a mile is a very steep climb. At the junction with the A.T. turn left and continue the climb. From here it is a 3.3 mile hike up to the connector trail at Mt. Cammerer. 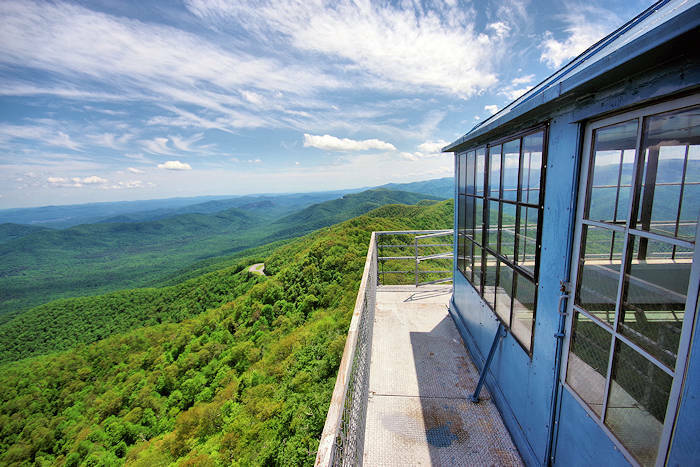 The fire tower on top affording fabulous views is your reward for the climb. Take a some lunch and enjoy a picnic inside the tower. This fire tower is styled after western fire "lookouts". A few years ago, this Yosemite style fire tower was restored to its original condition by a dedicated group of volunteers. Currently, it is in "like new" condition and some components have been replaced with more modern materials. Built from stone, wood and glass the fire tower was built by the men and women of the CCC, in the spring of 1939. The workers hauled stone and wood to the summit by horseback, on foot and with jeeps. The ridge that the fire-tower is on is unique also. There are plenty of places on the rocky summit to spread a blanket and enjoy the views with your favorite person. You don't have to enter the tower to see the views, however the views from the deck are unbeatable. At 4,928 feet in elevation, Mt. Cammerer is on the edge a precipitous slope overlooking the Pigeon River Gorge. The mountain directly across the gorge with the white aviation tower on it is the 4263' Snowbird Mountain. The elevation of the gorge that the fire-tower overlooks below is less than 2000'. Also below you and outside of the park is the water tower for the hydro-electric plant in the Big Creek area. To the south is the Mt. Sterling Ridge with another interesting fire-tower on its highest point. Beyond that is a seemingly endless expanse of the Smokies. 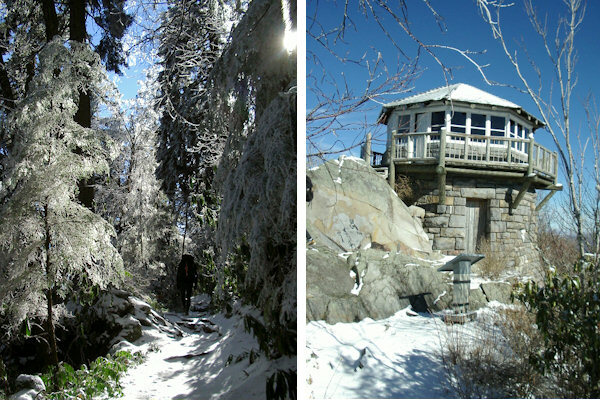 Find more historic fire lookout towers to climb in the NC mountains. Another nearby hike to a mountaintop tower is Mt. Sterling.